Callaway Golf produces some of the most popular irons on the market, with offerings for every level of player. Lower handicap players gravitate towards irons like 2017’s Epic Pro and 2018’s Rogue Pro. Both irons pack peak performance into a compact package but do so in different ways. 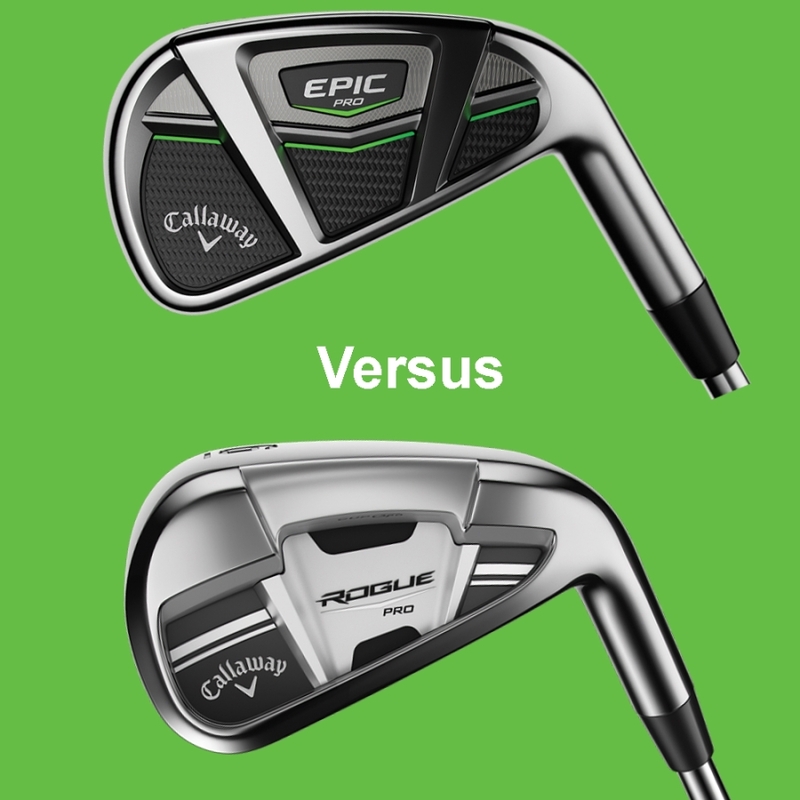 We look at the unique features of the Callaway Epic Pro vs Rogue Pro irons, helping you decide which iron is best for you. Our comparison of Epic Pro vs Rogue Pro irons begins with the similarities of the irons. 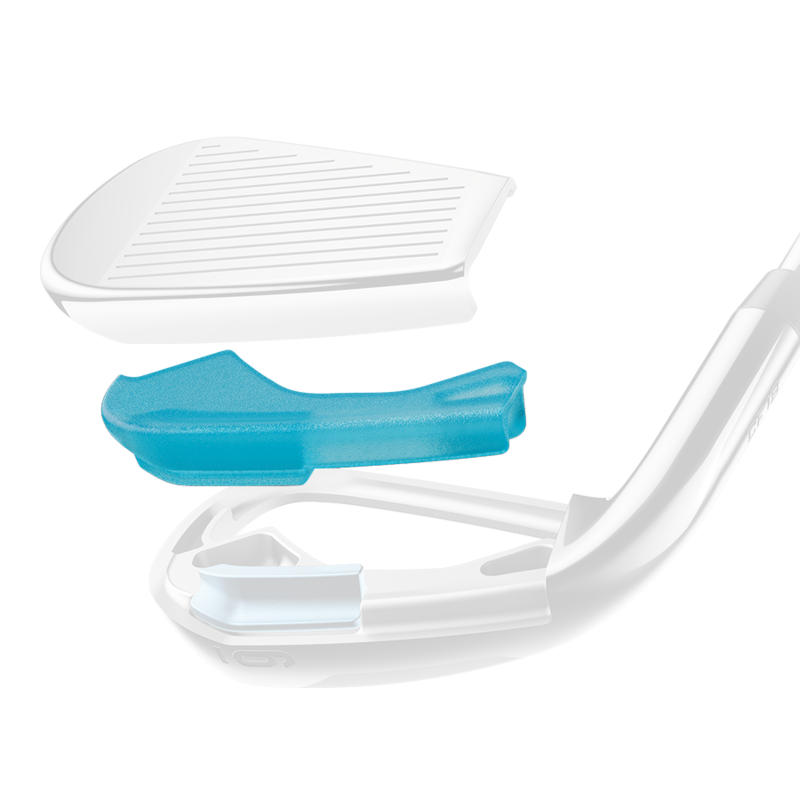 Both feature a smaller, compact clubhead with minimal offset, and thinner topline. The irons also focus on feel, with instant feedback on misses. Despite their “better player” persona, there’s still plenty of forgiveness in these irons. Another shared feature is Callaway’s iconic 360 Face Cup technology with VFT (Variable Face Thickness). 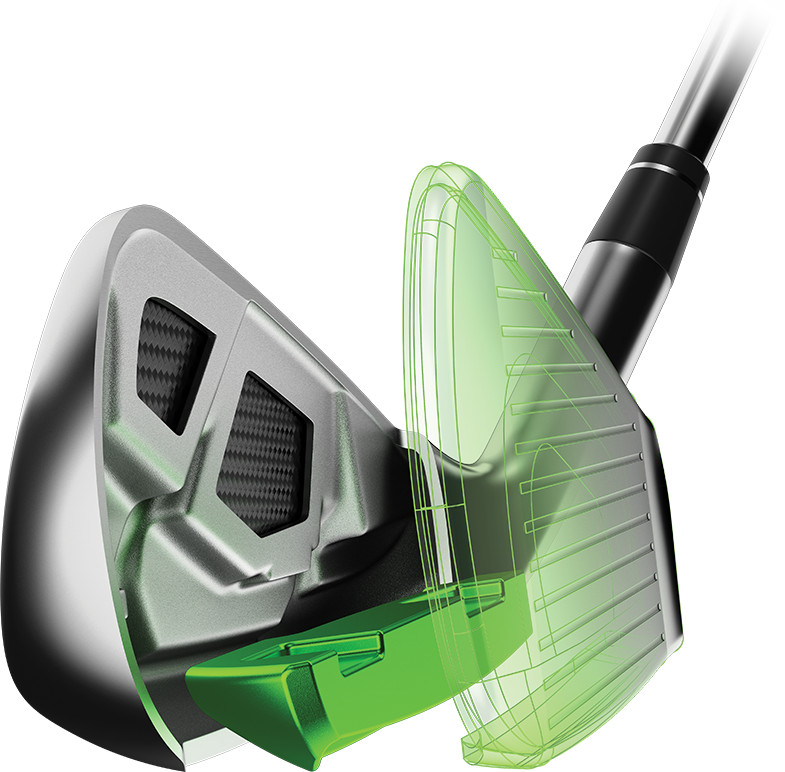 The face design forms a cup that is thin and strong, producing more ball speed and distance. VFT refers to the face having different amounts of thickness, being thinner on the outer edges (1 mm at its thinnest!). Therefore, mishits won’t be as penalized. Inside the Epic Pro and Rogue Pro irons is a multi-material internal standing wave. Made mostly of tungsten, the internal standing wave controls the CG location of each iron, optimizing the launch conditions for the best performance. Longer irons have a low CG for easy launch and soft landings. As the clubs shorten, the CG moves higher, flattening the ball flight for more control as you approach the green. But, what about the differences between the clubs? This quote sums up the spirit of the Epic Pro irons. Designers pulled out all the stops and delivered an iron that’s made unlike any other iron. This method of construction takes a lot of time, effort, and money to produce; themes that buck the common trend of getting clubs out as quickly and cost-effective as possible in the golf industry. This is the main reason the Epic Pro carries a heavier price tag than the Rogue Pro. The Epic Pro irons also have an Exo-Cage in the middle of the cavity (the vertical part towards the back of the club in the picture above). This technology, like the company’s Jailbreak technology in the Epic and Rogue woods, stiffens the head at impact, transferring energy to the golf ball. Callaway calls this process energy lensing. More energy to the golf ball translates to more distance. The biggest difference in the Epic Pro vs Rogue Pro irons is the Urethane Microspheres in the Rogue Pro. As mentioned, the face of the Rogue Pro irons is thin. Thin faces can cause vibrations at impact, hurting the overall feel of the club. Urethane microsphere technology places material directly behind the face and minimizes these vibrations, giving the club a softer feel without sacrificing distance. The last differences between the 2 irons are feel and looks. Comparing the feel of the irons, I would say the Epic Pro has a more solid sound and feel. The Rogue Pro has a slightly larger profile than Epic Pro but maintains a high level of forgiveness for a better player’s iron. Chances are the true traditionalist looking to hold onto the compact head design and feel will prefer the Epic Pro irons. The better player looking for some more distance while preserving classic club feel will prefer the Rogue Pro irons. The care and lengths that go into the construction of the Epic Pro irons certainly justify their hefty price tag. Those that don’t want to pay the difference in cost won’t be disappointed by the performance of the Rogue Pro irons though. 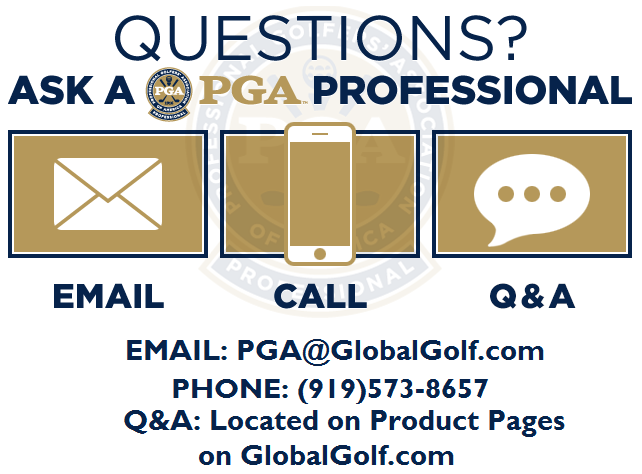 If you have more questions or want to learn more about the Epic Pro vs Rogue Pro irons, reach out to one of our PGA Professionals on staff! They’re here to help. Looking for more iron comparisons?